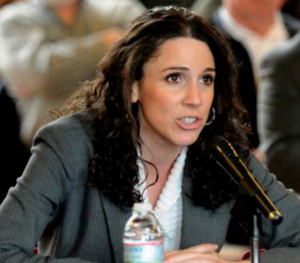 (BOSTON) – State Representative Diana DiZoglio (D-Methuen) has filed legislation in the Massachusetts House of Representatives prohibiting the prescription of OxyContin to children under age 17. DiZoglio’s bill comes in response to the Food and Drug Administration (FDA)’s August 13 approval of OxyContin for children as young as 11. OxyContin is an extended-release version of the painkiller oxycodone and has become known in recent years for its frequent abuse. On September 9, a bipartisan group of eight U.S. Senators, including Sens. Edward Markey (D-MA), Kelly Ayotte (R-NH) and Jeanne Shaheen (D-NH), penned a letter to the U.S. Health, Education, Labor and Pensions Committee calling for an investigation into the FDA’s decision to approve OxyContin, as well as an examination of the rise in opioid abuse and overdose deaths. Their letter notes the FDA decision was made without the advice of an independent advisory committee, which is required by FDA regulations on approving drugs. A study from the National Institute on Drug Abuse found that in 2014, nearly 1 in 30 high school seniors had abused OxyContin. In 2009, the Massachusetts OxyContin and Heroin Commission found that in 2007 alone there were 4,544 substance abuse treatment admissions in Massachusetts for persons age 15 to 19. The commission noted the second most-common source for obtaining prescription opioids was through a physician. In addition to this bill, DiZoglio earlier this year filed legislation to develop a model curriculum designed for the purpose of substance abuse and addiction prevention to be incorporated in the Commonwealth’s health curriculum in grades 4 to 12. The Representative also recently secured $25,000 toward the Lawrence-Methuen Community Coalition’s Merrimack Valley Opioid Abuse Prevention Collaborative.